They may be cold-blooded, slippery, and downright ugly, but there's much more than meets the eye when it comes to these fascinating animals. Reptiles are among the oldest deities in human history. They've been linked to numerous Creation stories and legends. From the ancient Egyptians to the Native Americans, Reptiles play a key role in several indigenous cultures across the world. In the Mayan tradition, the entire world rests on the backs of four crocodiles, while the Egyptian god, Sobek, provides life giving power with the touch of his Ankh. These magnificent creatures are also symbols of Healing and Rebirth. Lizards are known for growing amputated limbs and the regular cycle of shredding its skin makes the snake a reptile of resurrection. The ancient Greeks knew this fact quite well and linked this animal with the god of Medicine and Healing, Asclepius. The Ashanti people of West Africa and several pre-Columbian cultures in Central America have legends that speak about a serpent biting its own tail in the cycle of Death and Rebirth. But reptiles are more than just symbols of Creation and Rebirth; they are also emblems of Power and Status. It is no surprise that several countries, including Jamaica, have incorporated crocodiles into their Coat of Arms. 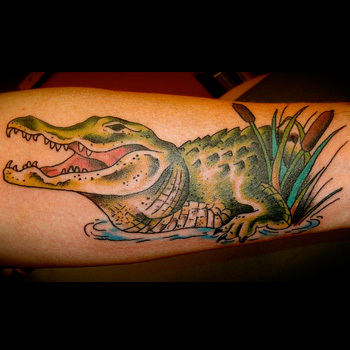 Whether your love the seductive primal power of snakes and crocodiles or are fascinated by the agility and speed of lizards, Reptile Tattoos are great ways to express to the world that there is much more to your story than what meets the eye. Lizards are quick, clever, and adaptable. They have the ability to use any circumstance or environment to their advantage and if things don't go quite as they planned, they simply sacrifice a body part in the name of survival and wait patiently as it grows back. Lizards have had a cushy position of reverence and respect in many ancient cultures and religions. The Greeks and Egyptians believed that they were a sign of good fortune and early Christians likened the act of basking in the sun to a humble soul seeking to connect with God. 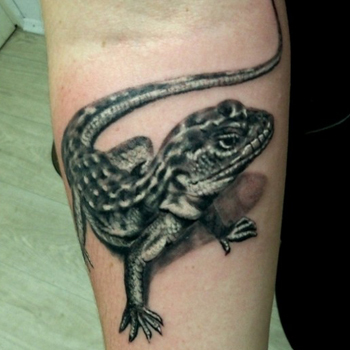 Lizard tattoos embody Adaptability, Cunning, Abundance, Speed, and Agility. Snakes are Nature's ultimate tricksters. As one of the oldest religious symbols in human history, they have come to embody a plethora of characteristics and meanings. Snakes are often linked with Temptation (from the Garden of Eden story), Sexual Desire, Fertility, Vengefulness, Intelligence, Vindictiveness, Healing, and Rebirth. These fascinating animals have gotten a bad rap since the rise of Abramahic religions. In the ancient world, the spread of these religions meant that prominent symbols of old pagan cultures, like the snake, were viewed as emblems of sin and evil. 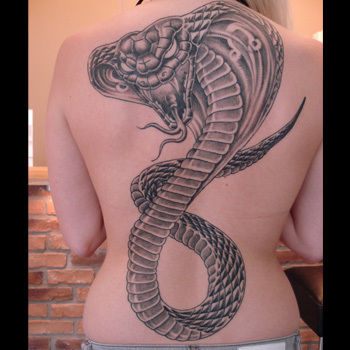 But a Snake tattoo is a great way to show off your witty side. 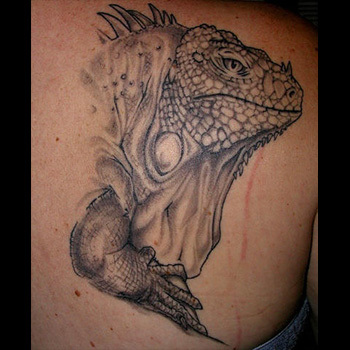 The right Reptile tattoo design makes all the difference between a fantastic piece of art and a piece that's just plain. Since your ink is not as removable as a grass stain on your shirt, choosing the perfect design is critical. What tattoo best fits your style? What elements will you add to the design? Where will you place it on your body? If you need inspiration, our team of artists are more than happy to help. Visit our design page at www.itattoodesigns.com and take advantage of our Custom Design Service.